The Adventures & Travels of RoadAbode: Knoebels - Raining. Hard. Raining. Hard. 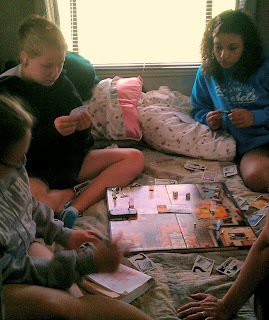 So the girls are playing "Clue" in the back bedroom.